The base ingredient used to make paneer is milk. It is prepared by adding food acid like lemon juice or yogurt to hot milk. Paneer is one of the most common types of cheese that is used in South Asian cuisines. 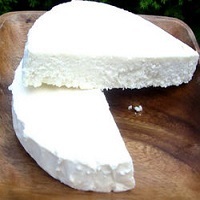 Paneer is considered a good source of calcium which helps to keep the bones strong. But in recent times the news of adulterated paneer has hit the market. Paneer made from urea and other harmful chemicals can affect your health adversely.